We’re So Glad We Had This Time Together…. It’s been a while, dear readers. Life is still hectic but we wanted to get something posted before you began to think that we’ve fallen off the face of the earth. We’ve got new door knobs for the exterior rear doors and the laundry closet. The lock for the front door is yet to be decided on. We’ll wait until the new front door is installed. Yes, friends, we still have a little ways to go with this remodel…more like fine tuning…but the big reno work is done. 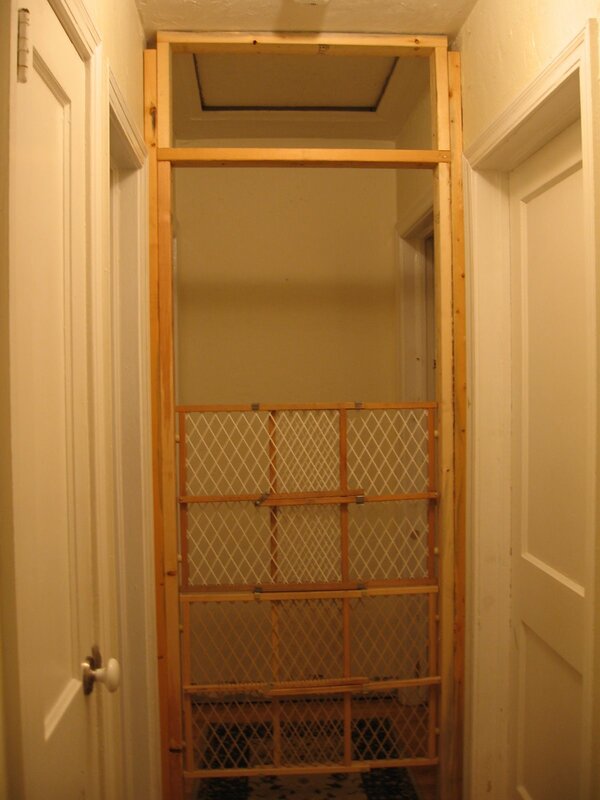 This is a new door way as it appeared when it was first framed. 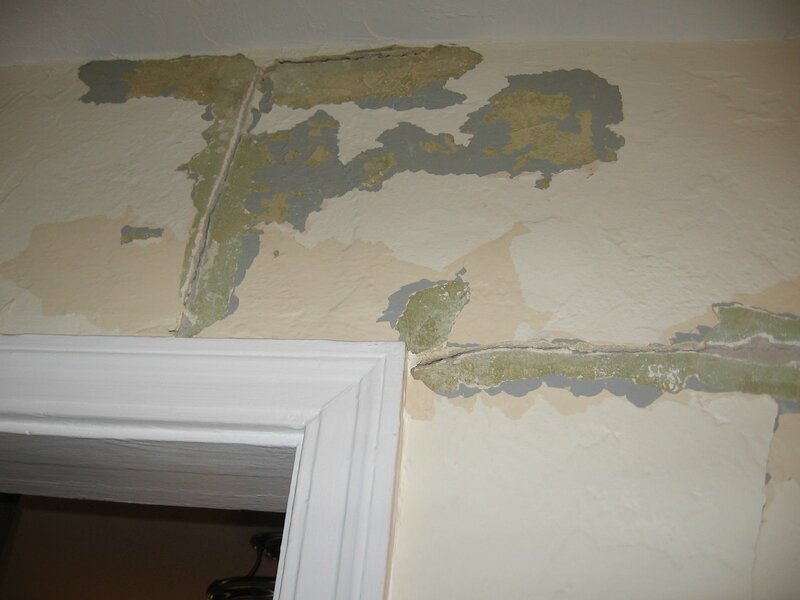 And below is the hallway wall – you can see the plaster cracks and such. Note to would be painters: This is what happens when you have latex paint on top of a layer of oil based paint. It won’t stick without applying primer (painting 101). Not to belie the point, but you can chalk this one up to the previous contractor. Now the door is up and the hall has been re-plastered. It’s very nice – just needs some paint and we’re in business. The hall door is scheduled to be trimmed this week. There will be a transom above the door to allow for air flow. Why the hall door? Security. So, the two *itches can’t get to each other. Our blood pressures have already dropped with the installation of this door. The new bedroom is lovely. We still need to hang blinds and artwork – soon, real soon. 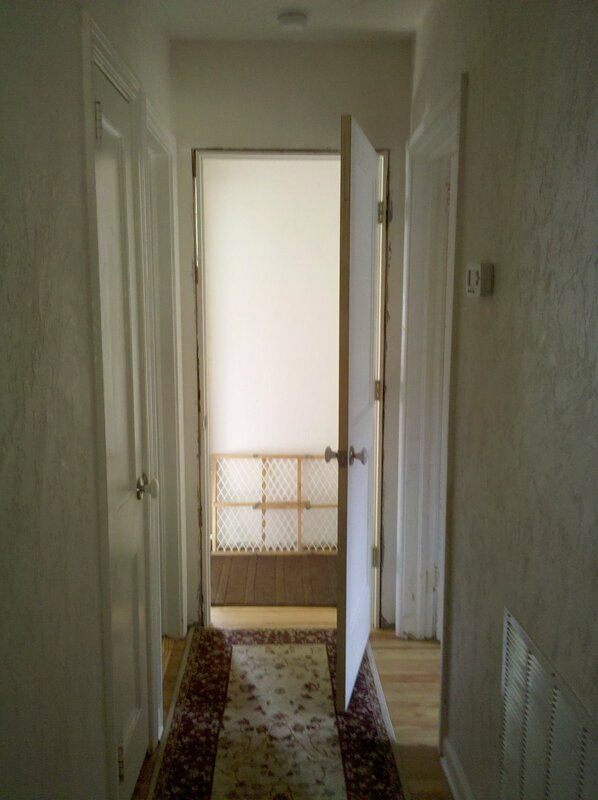 Our shower door should arrive sometime within the next 10 days or so. We’ve also ordered some towel holders. Once all is here and installed we’ll be ready for the reveal – so stay tuned. Slowly, our stuff is coming back from storage. Hope to make a run this evening to pick up a few more things. It was a delight to finally have our dining table back in the house. Our new porch and it’s bug free zone has been a pleasure. It’s a wonderful space. We’ve been enjoying most of our meals there. We’ll post more pictures when the door is finally trimmed. Thanks for stopping by – so long(ear tug). 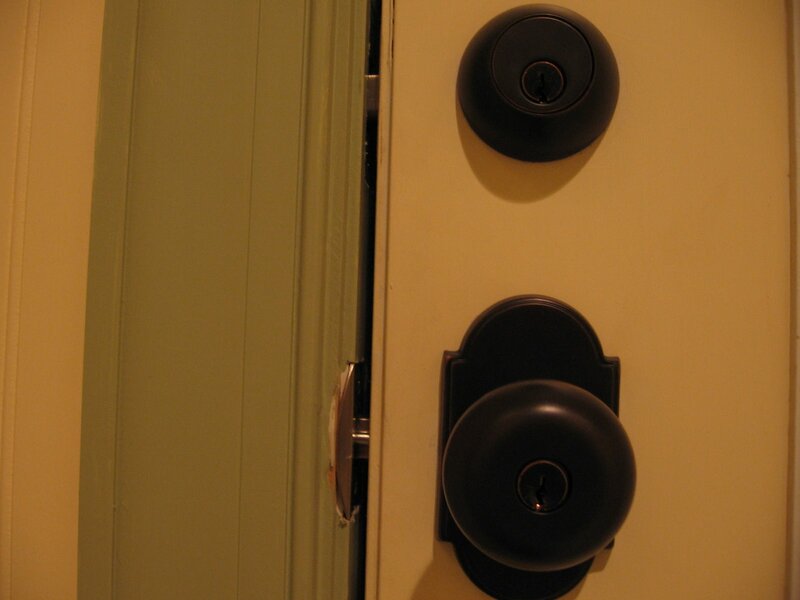 Previous Article Doorknobs Are Here!